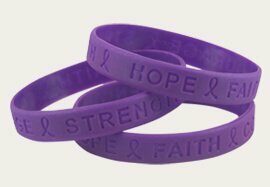 Debossed wristbands are created using a customized mold that is expertly crafted with your personalized message. 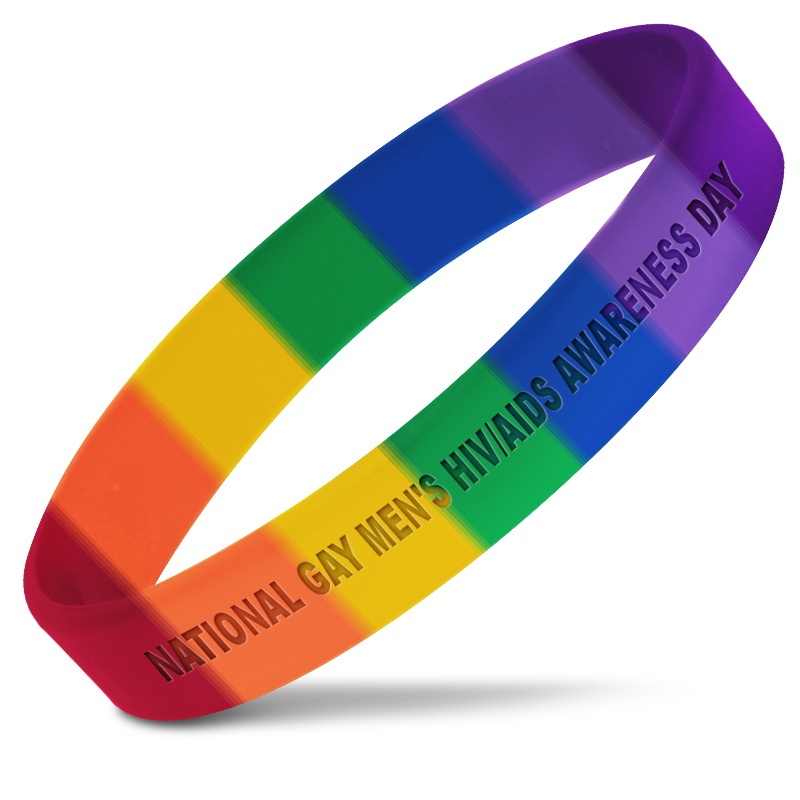 This popular silicone wristband style, features a recessed or "sunken in" message style. Customize debossed bracelets will display your personalized statement or event for all to see. Your message is nothing more than just some words on a page unless you have a way to get it out. This style bands, originally made popular with trendy LIVESTRONG bands, are a simple but bold way to tell the world what you're thinking. 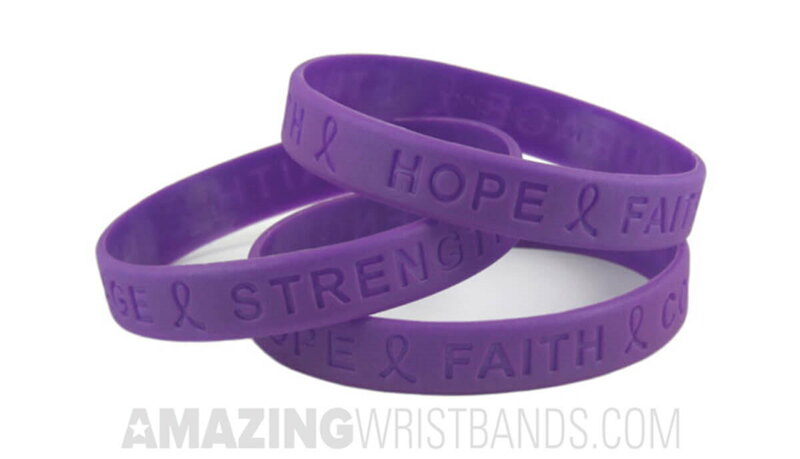 High-quality, durable, and non-allergenic, these industry-standard silicone bracelets are the perfect choice for your message.